" The time for asking who's right and who's wrong, who's drunk and who's sober, who's closer to God and who's further away. All that is over now. This caravan is led instead by a great delight. That simple joy which sits with us now. That is the grace. Hafiz, you may have just poured a toast that will wash love clean of all it's stories." Yin Yoga is a special meditation that isn’t just about the mind, but is asking the whole body to become involved. By putting ourselves in postures and accessing our deep connective tissue we begin to connect with our own stories at a very deep level. Every cell of our body carries our stories of trauma and healing. Every cell of our body is a witness to our life’s journey. Some of these stories are healing stories that we need to embrace and nourish, and some of the stories are stories that no longer serve us that can be transformed. In the Hawaiian tradition, when people gather to share their experiences they say that they “talk story”. In this training we talk story and listen to story. Storytellers understand that the cosmos is not a collection of separate objects but it’s really one story unfolding. In the ancient storytelling cultures this was understood. The stories of nature unfolding were their teaching stories. The stories that the leaves tell us every Fall when they gratefully let go of their branch are reminders of impermanence and interdependence. We also learn that storytelling is not just about speaking but most importantly it’s about our willingness to listen. ​The teacher connects to their students by listening. The student connects to who they are by listening deeply to themselves. During the training we look at those stories that are unfolding around us through our relationship with nature, and each other. We spend time outside listening to the stories told by all natures storytellers. We listen sincerely to each other, trying to hear the deeper story behind the spoken and unspoken words. We look intimately at the postures, listening to the story the body tells as we move through them. We look at our own personal stories. What stories have our bodies been asking us to hear? What stories are no longer serving us? What stories are waiting within us to be nourished? When we understand the role storytelling can have in our lives, we can learn to really listen to our own stories and respect them as important teaching stories. We can only do this when we learn to listen to story. If we look at “classic” stories, we can say that they represent different aspects of our life’s path. We begin in our youth story where we establish ourselves. These youth stories are about triumphing against life’s challenges, the hero journey. At a different point in our life we find ourselves in a midlife story. These are the times when we see that all we strove for in our youth stories hasn’t brought us what we truly want. As Joseph Campbell put it “we get to the top of the ladder, and find that it’s up against the wrong wall”. These are the times when we need to make a transition. We need to transform a story that is no longer serving us. ​Finally we come to our elder stories. This is a time when we realize that all our efforts to triumph or transform things in our lives can’t change the flow of life. All the down dogs in the world won’t stop us from aging or help us to face inevitable loss. This is the time of acceptance and transcendence. These can be our most important teaching stories for they force us to look at attachment, the source of so much of our suffering. These three types of stories can appear chronologically in our lives, but they are also brought on by circumstances that come to us. Some people enter their elder stories very early in their lives, and some never seem to get out of their youth stories. 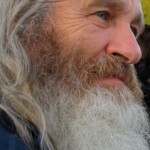 Youth, midlife and elder are archetypes and as such represent parts of our selves. ​Understanding how our own lives move through life’s bigger story can help us recognize where we’re stuck in stories that are not serving us, and where we can nourish our healing stories. ​The training will consist of approximately 45 contact hours. In order to receive a certificate of completion, I will ask each student, during the 30 days following the training, to complete an additional 5 hours of independent study. After completing the independent study, each student will communicate their experience to me by mail or email. Your communication won’t be judged or graded, and each participant will receive a certificate of completion for 50 hours of Yin Yoga Teacher Training. ​This training is a stand-alone training, and is open to anyone who has taken Taoism, Anatomy and Sequencing and Embracing the Yin Path as well as any dedicated yoga students or teachers who are interested in deepening their practice. If you haven’t studied with me before and plan on coming to the third module only, then I ask that you get a copy of The Yin Yoga Kit, and familiarize yourself with the basic concepts, and do some of the practices in the book or CD. The training is suitable for teachers and dedicated practitioners. You don’t need to be a teacher or even experienced in Yin, just come with an open heart and a willing mind.